Crystal Clear Rain is an innovative transparent glass coating which offers ultra water repellency and optimum durability for all glass surface, including windscreens. 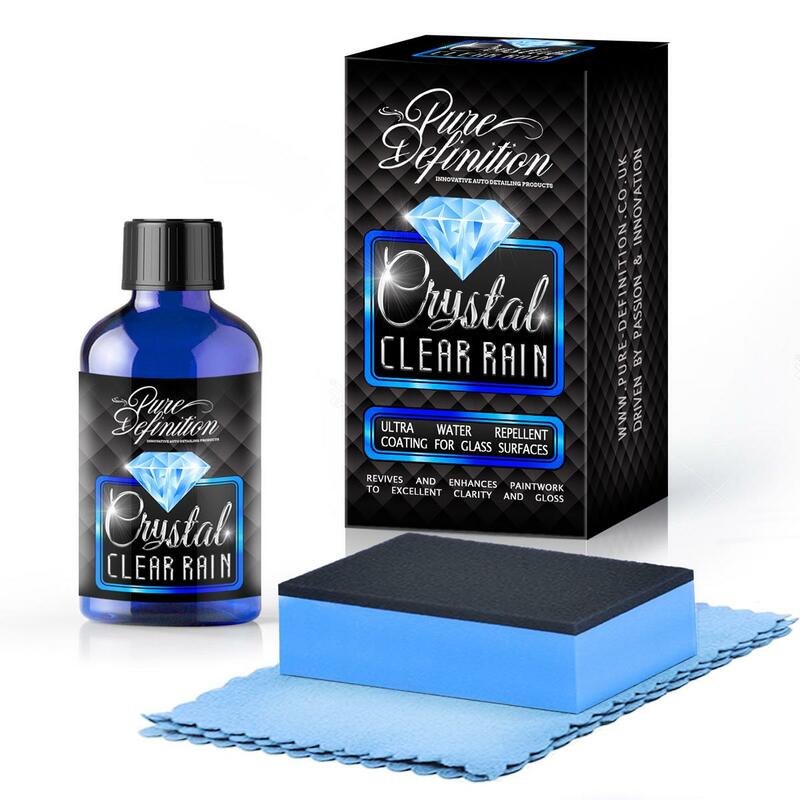 The unique formulation of Crystal Clear Rain creates a strong chemical bond unlike many of the other coatings on the market. Not only offering optimum water repellency and increased visibility in wet weather conditions but also makes removing bugs, tree sap and bird droppings much easier. 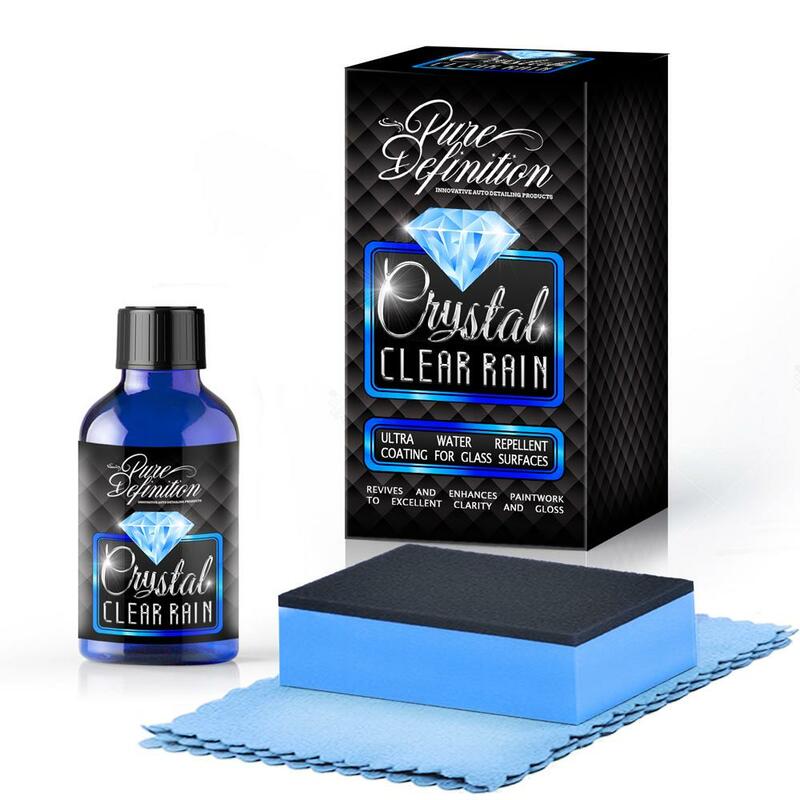 Crystal Clear Rain is developed using our innovative surface technology which is engineered with the very latest cutting-edge ingredients and technological advancements. Once applied, water will quickly and easily blow away when driving at speeds as little as 30mph, improving visibility and clarity for the driver. Crystal Clear Rain will last up to 1 year on side windows with one coat and up to 1 year on the windscreen with three coats. 1. Remove all dirt and grime from the glass surface. 2. Wipe down the glass surface with a degreaser such as Glass Creame Polish. (if applying multiple layers this step is only required for the first layer). 4. 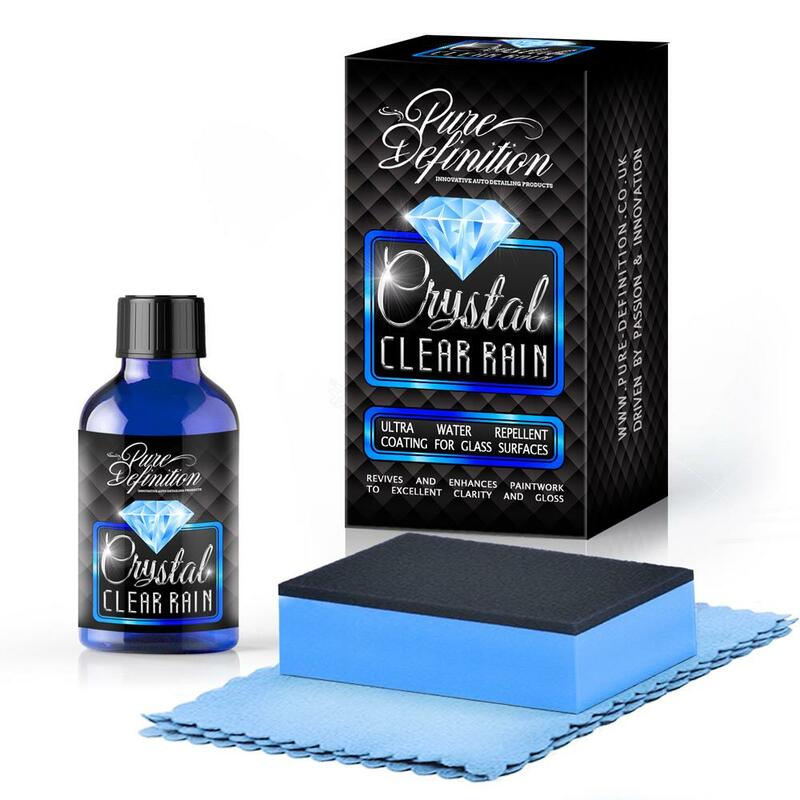 Wrap the blue microfibre cloth around the applicator pad and drop between 5 and 10 drops of Crystal Clear Rain onto the microfibre provided. Work the liquid into the cloth to get an even saturation. 5. Apply in overlapping strokes to an area roughly 60x60cm. 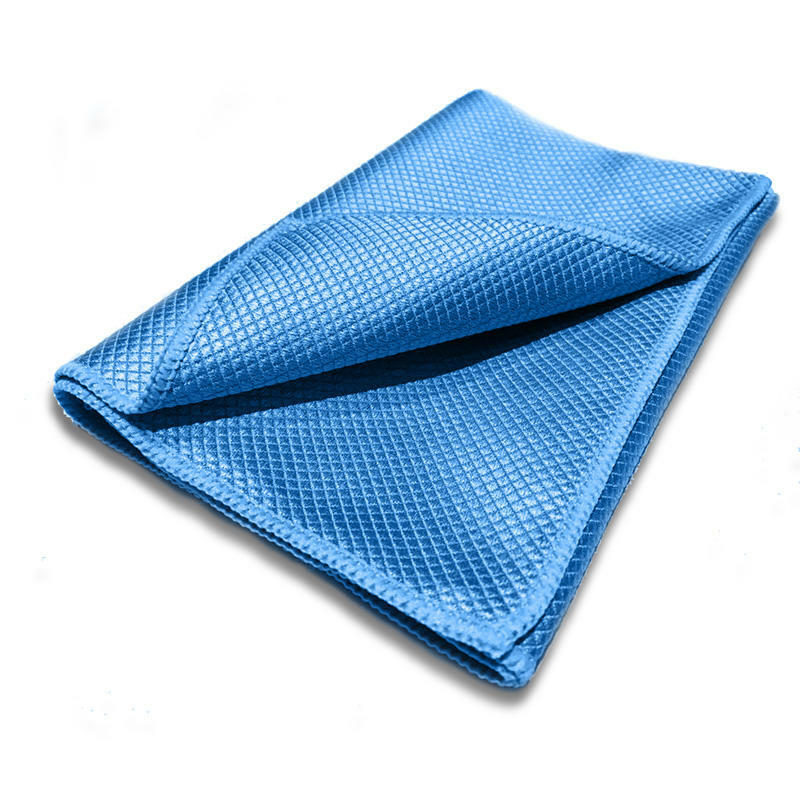 If the surface temperature of the vehicle is 5-15°C wait 15 minutes before removing with a microfibre cloth. For temperatures over 15°C remove after 5 minutes, never apply in direct sunlight and where the temperature reaches over 40°C. 6. Multiple layers can be applied, let each layer cure for 1 hour before reapplying.